The Plaidy is a superbly proportioned three bedroom bungalow. The bedrooms are located on the left hand side with the master bedroom including en-suite facilities. 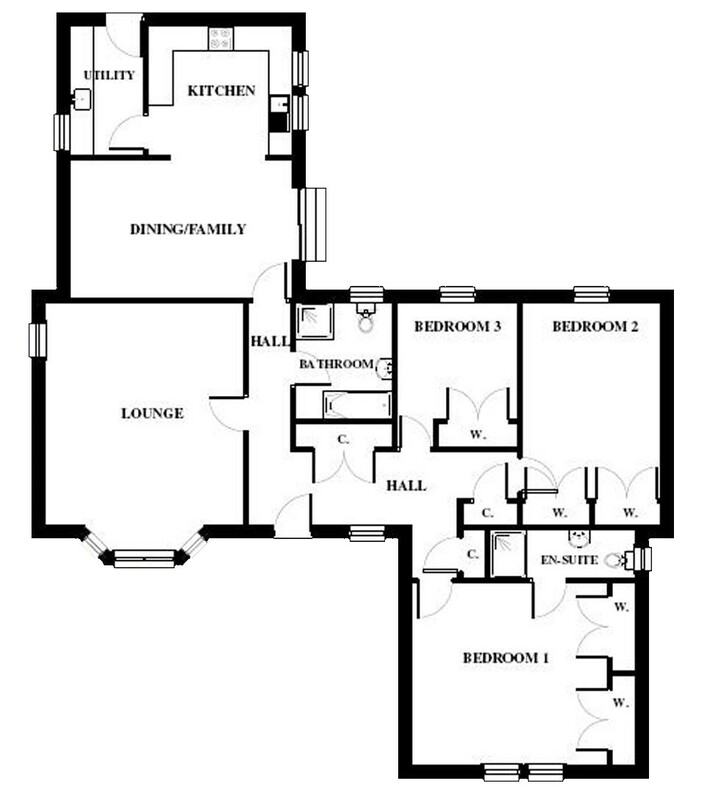 There is a separate well proportioned lounge and a large dining / family room with a kitchen area. Next to the kitchen there is also a separate utility room.